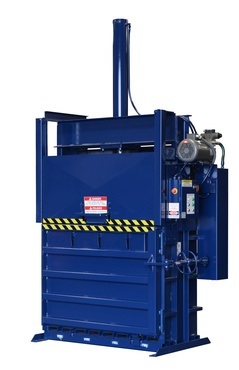 This baler will produce dense bales while taking up a smaller amount of space than most high density balers. This is a great option for grocery stores, retail outlets, distribution centers and other businesses which produce a good amount of recyclable or waste material that needs to be baled. Materials such as cardboard and plastics are easily baled in this workhorse of a baler. When space is limited, but you need something more than a small baler, this medium size 48" High Density Baler is a great choice. Product meets or exceeds all ANSI Z245.5 and OSHA standards. A-36 structural frames. A-514 reinforced in high stress areas. Strong rigid container walls provide performance & longer life span. A-1018 used for gib bar, guide and control surfaces. A = 54" B = 68" C = 54" D = 108" E = 143" F = 45" G = 90" H = 76" I = 54"